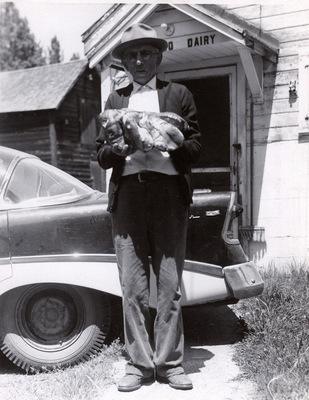 Barney Molinar of Roslyn, Washington holding a oversized mushroom (boletus). "Mushrooms" (1955). Frederick Krueger Photographs. 57.